Following BuzzFeed’s announcement that it would lay off 15% of its staff last month, BuzzFeed News employees are moving towards unionizing, The New York Times reports. During last month’s layoffs, the entire national desk and the seven-person national security team were let go, both part of the BuzzFeed News division. The layoffs came as BuzzFeed reported a 15% growth in profit in 2018. “Our staff has been organizing for several months, and we have legitimate grievances about unfair pay disparities, mismanaged pivots and layoffs, weak benefits, skyrocketing health insurance costs, diversity and more:” the organizing committee wrote in a statement. 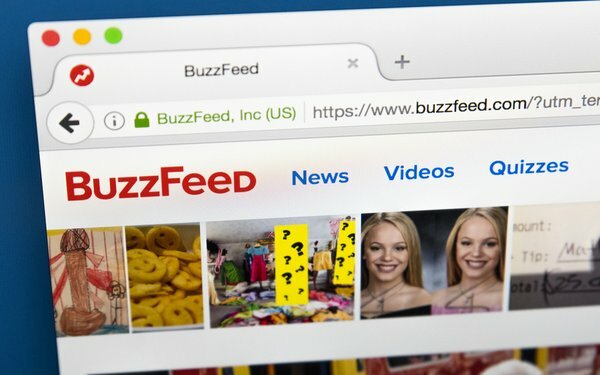 BuzzFeed founder Jonah Peretti has publicly stated in the past that he does not support staff unionization at the company. However, following January’s layoffs, as the company refused to compensate employees for paid time off, BuzzFeed’s news staff council addressed the issue, publishing an open letter that was signed by approximately 600 current and former employees. The letter influenced Peretti and other management to shift course and pay employees for their timed earned. As for unionization efforts, according to The Times, a group of staff members met with the NewsGuild of New York to address pay disparity at the company in 2015. The two factions met again last fall, with 50 BuzzFeed employees taking part. According to members of the staff, the last round of layoffs ramped up efforts and interest. Ben Smith, EIC of BuzzFeed News, stated his willingness to meet with the organizers in a statement. The Times reports Davey Alba, a senior technology reporter, believes roughly 90% of eligible staff support the unionization effort.